We're late to Mithun Month (IST?) 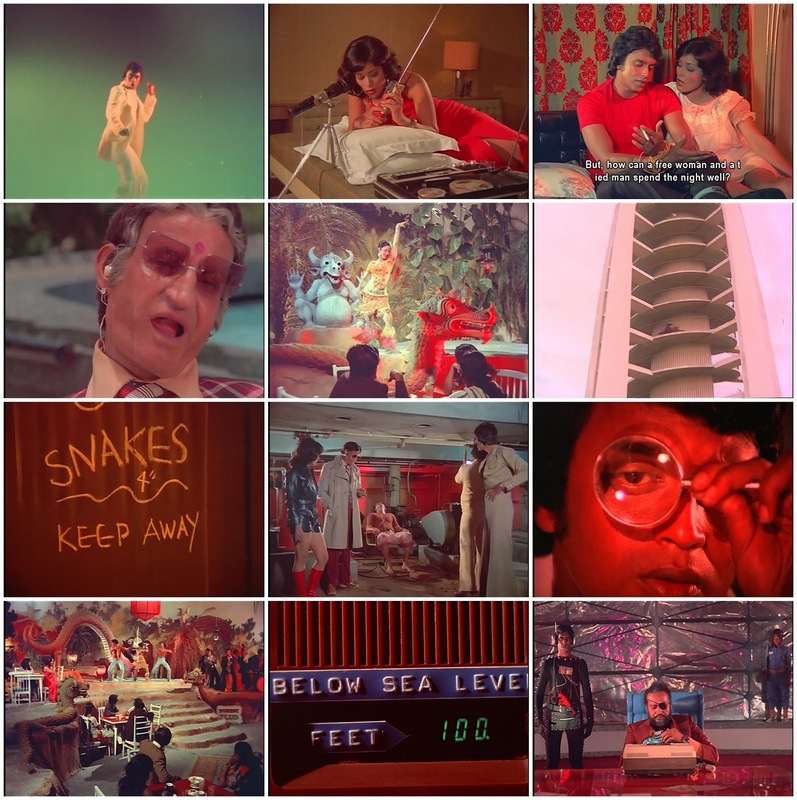 but now that we're here, we're armed with ONE WHOLE HOUR of podcast goodness on not one, not two, but THREE Mithun films: Surakksha (1979), Wardaat (1981), and Guru (1989). 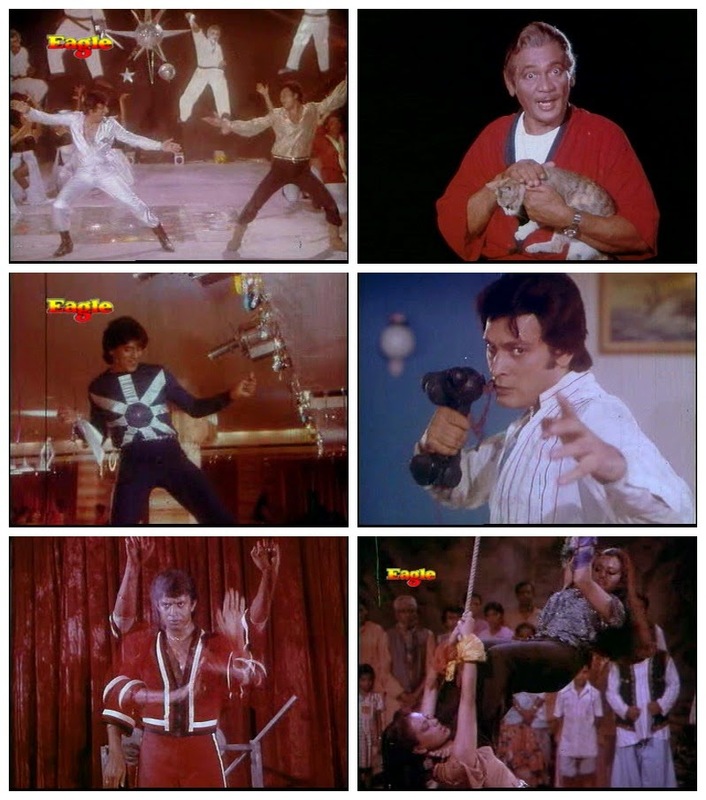 Additionally, I did a podcast with Sujoy over at One Knight Stands about the equally fantastic Mithun film Karate (previously written up for a guest post at Die Danger Die Die Kill here). Click here to listen. Warning: you WILL get the film's über-repetitive theme song stuck in your head. As far as I have been able to tell, Sridevi and Mithun only were paired as leads 4 times. . . which is a shame, because I like how they compliment each other in physical comedy and dance styles (in Waqt ki Awaz) or even their shared gravitas in something arty and serious (Jaag Utha Insaan). Miranda - Carol was totally on it! I was just giggling. And what I want to know is if they ACTUALLY got married or if that's just awesome gossip. Chris - Oh how fun!